Take the boring out of holiday leftovers! 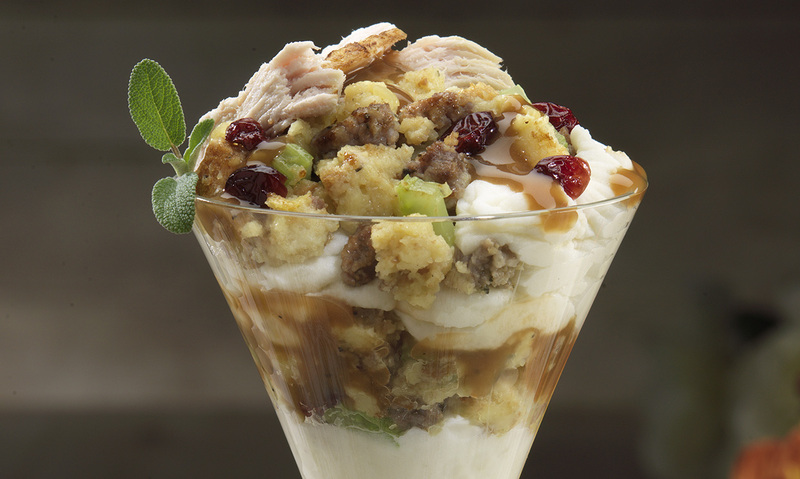 The Thankstini combines all of your holiday favorites in one festive mashtini. 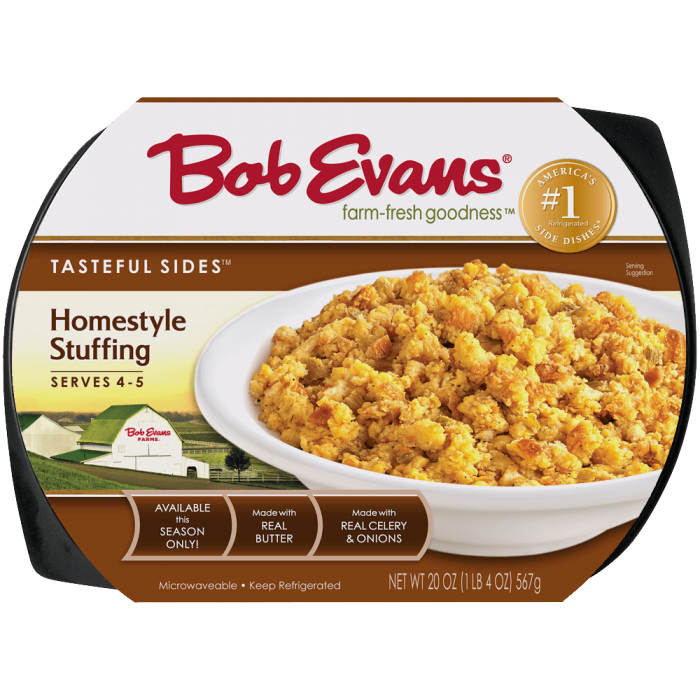 Prepare Bob Evans Homestyle Stuffing by following the recommended microwaving instructions on the package. Stir cooked sausage and ½ cup cranberries into the stuffing. Place 3oz. of Bob Evans Original Mashed potatoes in a martini glass. Place ⅓ cup of sausage and cranberry stuffing on top of potatoes. Place 2 slices of turkey down side of glass. Pour ¼ cup roasted turkey gravy over stuffing. Garnish with ½ cup remaining dried cranberries over gravy. 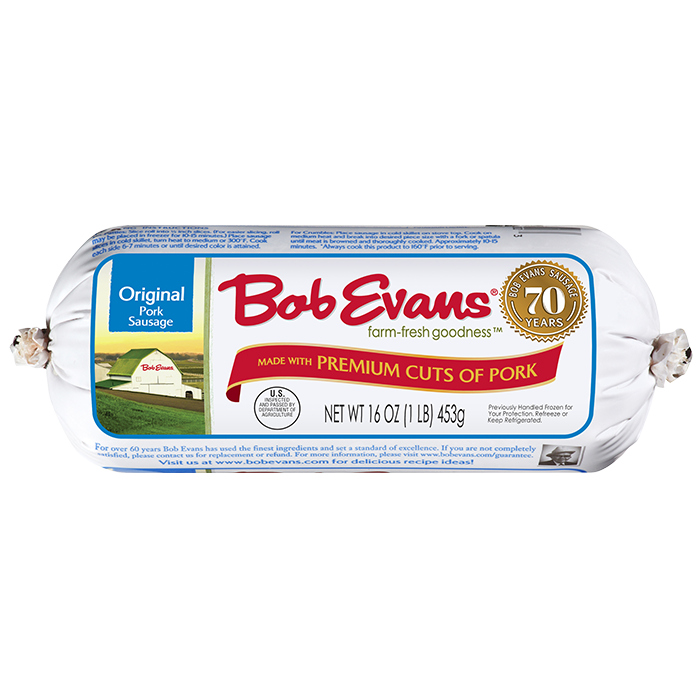 2 Prepare Bob Evans Homestyle Stuffing by following the recommended microwaving instructions on the package. 3 Stir cooked sausage and ½ cup cranberries into the stuffing. 4 Place 3oz. 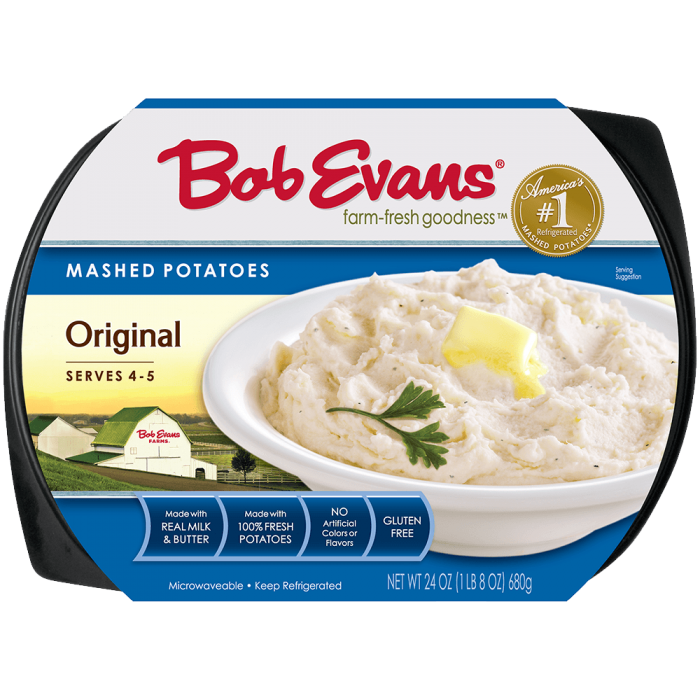 of Bob Evans Original Mashed potatoes in a martini glass. 5 Place ⅓ cup of sausage and cranberry stuffing on top of potatoes. 6 Place 2 slices of turkey down side of glass. 7 Pour ¼ cup roasted turkey gravy over stuffing. 8 Garnish with ½ cup remaining dried cranberries over gravy.